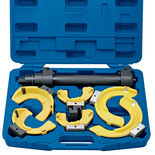 Maximum jaw opening 220 mm. 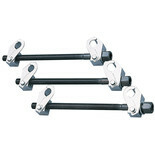 Positive all round holding clips top and bottom for added safety. 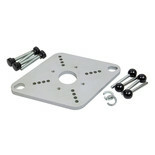 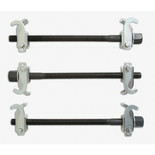 Strong carbon steel bolts with hardened lead screws. 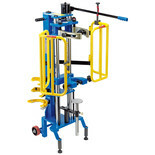 Reversible to enable right or left hand operation. 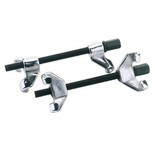 This spring compressor set features wrap round claws with a polished chrome finish and lead screw manufactured from carbon steel hardened and tempered. 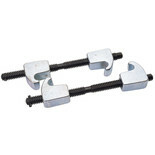 The hooks are manufactured from tension ductile iron with a galvanized finish. 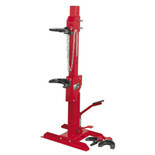 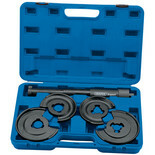 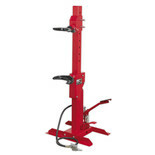 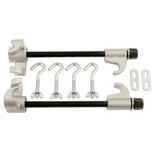 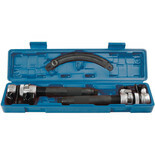 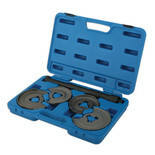 Coil Spring Compressor - Heavy Duty 3 piece clamp for extra safety. 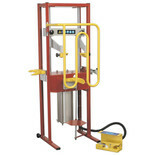 Working pressure of 1500kgSee product manual for further information.